In 1345 English manor court records there is a note that 18 women were sentenced for not sticking to the ale brewing standards. It was the first time when Adnams family, which brewed beer, was mentioned. 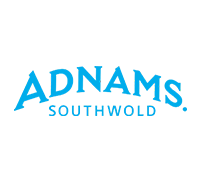 “Adnams” company was established in 1872 and was not only in beer business, but also in spirits production, catering and accommodation business. high quality beer from high quality ingredients. Now the company has its own brewery where employees experiment in order to create special taste and quality characteristics beer. “Adnams” is interested in all types of beer in the world, but they are trying to present it in the British and “Adnams” style. This is one of a few breweries which communicates with its consumers via social medias and reacts to their remarks.